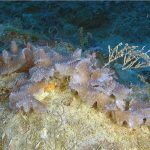 There’s been a monumental effort in recent years to revise and reclassify the taxonomy of brain corals, and, in a recently published paper, this ongoing work has resulted in the description of a new species of Micromussa from the Western Indian Ocean. 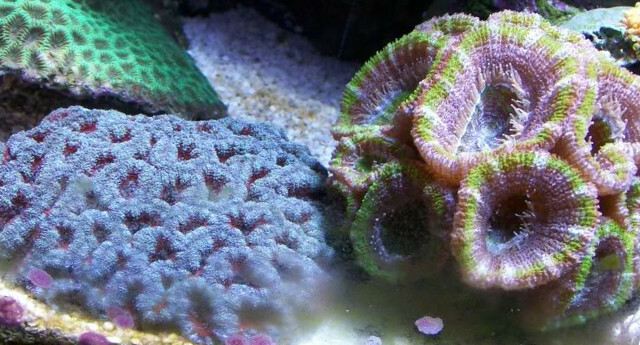 This new coral, M. indiana, had previously been confused with the familiar aquarium species M. amakusensis, and, in life, both are quite colorful and have the same sort of puffy appearance to their tissue. The differences that serve to separate these two relate to the finer details of their skeletal structure. The following photos illustrate this clearly, as, seen side by side, the two are quite distinct from one another. In M. indiana, the polyp has a more open appearance, resulting from the third septal cycle being reduced. On the other hand, M. amakusensis has a considerably denser feel to it, with all three septal cycles extending closely to the center of the polyp. Also of note is the relatively smaller columella (the amorphous blob found in the center of each individual corallite) seen in M. indiana. I imagine most aquarists are not so intimately familiar with the finer details of coral anatomy, but, even for the most neophytic of morphologists, these differences in shape are pretty easily observed if there is some skeleton exposed. Previous researchers had, in fact, noticed these same differences between African and Pacific specimens, but were content to lump them together as a single widespread and variable taxon. 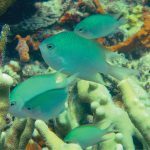 It was only when the genetics of these corals were examined that their considerable evolutionary distance from one another became evident. In life, this new species can be quite vibrantly colored, with colonies tending to feature contrasting patterns of reds, greens and greys, sometimes taking on the same banded appearance we see in the Lord’s Coral (M. lordhowensis). All three of these closely related taxa form small, encrusting colonies, but only M. amakusensis and M. lordhowensis enter the aquarium trade, both being found primarily in the West Pacific. Micromussa indiana is thus far only known from the Southern Red Sea, Oman and south to Socotra and Kenya, none of which export corals. This exclusively Indian Ocean distribution is alluded to in its scientific name—sorry Hoosiers, your state has nothing to do with it. With all the changes taking place in the taxonomy of these popular corals, I think a word should be said regarding the trade names applied to these little beasts. 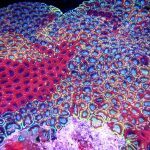 “Acanthastrea lordhowensis” is one of the more familiar scientific names among reef aquarists, and this species is frequently referred to by some variation of it: “acans”… “acan lords”… “lords”… etc. 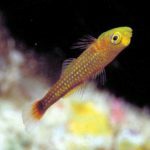 On the other hand, Micromussa amakusensis is a far less-common species in captivity and seems to most often go by its genus name alone. This was fine up until now, as it was the only Micromussa that was to be found in a reef tank, but, with changing taxonomy, this is no longer the case. My point in all of this is that it might be a good time to reevaluate the common nomenclature we apply here, so as best to avoid confusion. Lord’s Coral is a perfectly good name for Micromussa lordhowensis, and it has the benefit of already being used quite widely. For M. amakusensis, I would suggest “Mini Lord’s Coral”, as the primary trait to tell these two apart is the slightly smaller polyp diameter of this species. 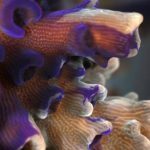 Of course, aquarists are a notoriously stubborn people when it comes to changes like this, so don’t be surprised if we’re still calling these “acans” and “micros” for years to come. Arrigoni, R., Benzoni, F., Huang, D., Fukami, H., Chen, C.A., Berumen, M.L., Hoogenboom, M., Thomson, D.P., Hoeksema, B.W., Budd, A.F. and Zayasu, Y., 2016. When forms meet genes: revision of the scleractinian genera Micromussa and Homophyllia (Lobophylliidae) with a description of two new species and one new genus. Contributions to Zoology, 85(4).